I haven't blogged in a while, simply because I've not thought of any interesting topics to blog about, hopefully something will come along sooner or later! 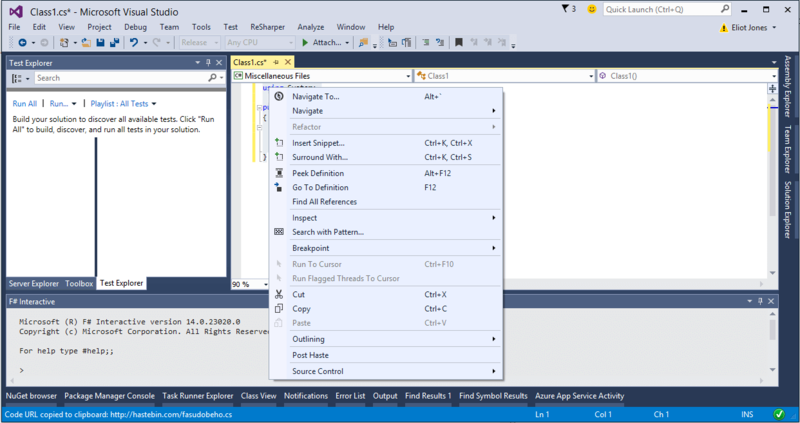 In the meantime I'm promoting my little Visual Studio extension, PostHaste. This extension aims to make sending code to hastebin (it's like a good version of PasteBin) from inside Visual Studio easier. Not that it could be much easier but it seemed like a fun way to learn Visual Studio extensibility.